Sonoma County finds itself in several pivotal junctions. 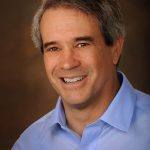 Ben Stone, Executive Director of the Sonoma County Economic Development Board, will join us on June 13th to discuss the state of the recovery six months after the October wildfires, the county’s workforce and ageing challenges, its affordable housing crisis, and its five-year economic strategy to push our community to thrive and grow. Ben was appointed as Director of the Sonoma County Economic Development Board in 1986. Since then he has been responsible for various economic development activities such as business start-up, relocation, business development, and retention services; industry research and economic forecasts; a county film program, Creative Sonoma, and involvement with the Sonoma County Tourism Bureau and seven Visitor Centers. Ben Stone has also served on several Boards over the years. He has served as Chair of the Business Administration Department Advisory Board at Santa Rosa Junior College, and of the North Bay World Trade Association; as a Board Member of the Sonoma County YMCA, the International Diplomacy Council, National Alumni Board of Whitman College, and Sonoma County Museum. He is currently serving on the Board of the Swiss-California Foundation, the California Local Economic Development Association, the California Academy for Economic Development, and the President’s Council at the Santa Rosa Junior College. Ben was awarded the State’s highest award for economic development in 2010, for his work in creating the Sonoma County Tourism Bureau. He received his Bachelor’s Degree at Whitman College in Walla Walla, Washington and his MPA at the University of Washington in Seattle. Jen Hall, Mary Slack, Holly Garretson and Brazilian Rotary Exchange Student Giordan Vilomoski were in attendance today. Ginny reported it’s sunny. Tim Fawcett is in attendance today! Thanks to the Gospe’s and Rich for putting together the party for Tim on Sunday. Announced that the coming year we’ll be trying to get the Foundation Award. Julia announced that there are only 9 new cases of polio since July, 2017. Kim Graves presented Will Haymaker and Tim Delany with Paul Harris awards. It’s Tim’s 3rd PH and Will’s is in the name of his grandson, Justin who is working on his PHD in Barcelona. Brazilian Exchange student Girodan created a small night stand in woodshop class which he auctioned off to raise money. Cathy Vicini won (we think). Bidding was hot and heavy and a little confusing, but we think she paid about $4,000 for it…..
Debi Zaft asked for volunteers to chip in and buy Rotary lunches for Tim as he recovers. Ann Gospe needs more GB volunteers, especially for day of event. Karen Ball encouraged people to buy quarterly lunch tickets. By purchasing tickets in advance, you’ll save $4.00 per lunch. Jeff Kolin reported $36,900 has been raised in sponsorships, ahead of our goal. We also continue to trend 60 or so riders ahead of last year. We should have over 900 riders this year. Jackie McMillan had a great idea with a check box for riders to donate to fire relief. Over $1,750.00 has been raised in this way for fire relief. Rich de Lambert announced that all area Rotary clubs have been notified of Tim Fawcett’s Go Fund Me account. Tim can really use some help. His short term memory is poor, and he can’t drive. His income is very little from State Disability. Give him a call. Invite him to lunch or to take a walk. It all helps him to be positive. Help fund his Go Fund Me page, even if you can only give a little. *The message that was sent to all presidents and secretaries in Sonoma County to share with their club members at the end of this bulletin. Jose Guillen proudly introduced today’s speaker, Executive Director Ronit Rubinoff of Legal Aid Sonoma County. Ronit explained the different ways Legal Aid helps victims of abuse, including helping them to stay in their home and getting restraining orders in place for the abuser. She also discussed how Legal Aid helps with senior abuse and also helping people stay in their homes when they face eviction due to the actions of others. Legal Aid is a 501C3 non-profit, non-government organization. Legal Aid helps over 2,000 children per year. Ronit showed a short video where people helped by Legal Aid shared their individuals of how they’ve been helped. Legal Aid helps those in need of other legal services as well including immigration, housing and civil issues. Finally, in an issue that hits many in our club close to home, Ronit noted that since the fire there has been a spike in price gouging by rental owners, requiring involvement of Legal Aid. Legal Aid in general works as a legal advocate for those most vulnerable community members. 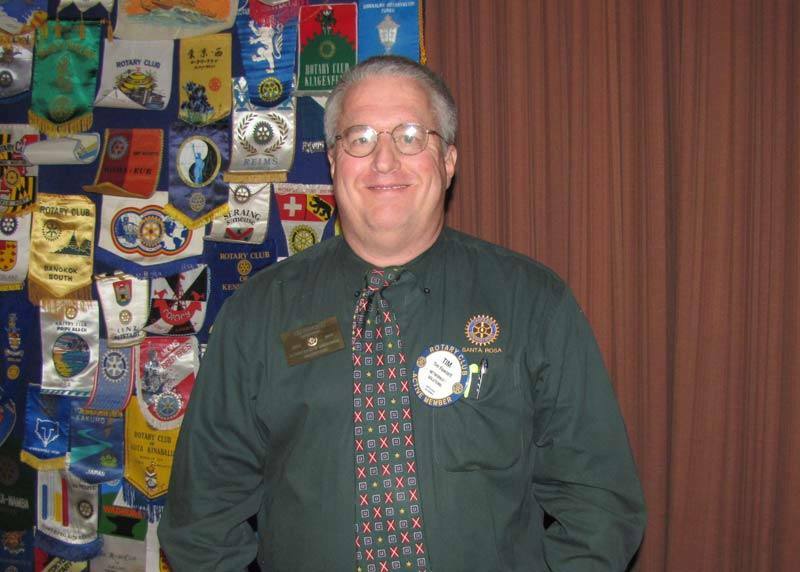 “Tim Fawcett has been a member of the Rotary Club of Santa Rosa for over 20 years and every year he has been the club Santa for our annual Christmas party for children. Last Christmas, Tim didn’t show up for the party and the club records found we only had a P.O. box address for him. After four to six hours a friend of Tim’s dropped by to find him latying on the ground as he had fallen off the roof onto his head. Tim spent the next month in Memorial Hospital at a cost of 1.3 million dollars. He had some insurance, but not nearly enough to cover this type of accident and care. Tim now is living on $50.00 a week from the state. He has a home and two cars, but he cannot drive. It is a very slow recovery with no light at the end of the tunnel. He still has no sense of smell, taste and very little short term memory. He has no tv (and doesn’t want one), but has a radio, a computer and four walls. 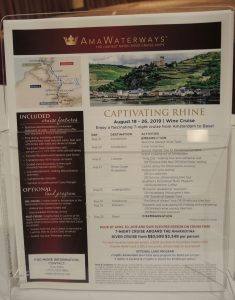 So far 22 Rotarians from our club and friends have signed up for the Rotary cruise on AMA Kristina. There are cabins remaining. If you are interested in joining us, please book as soon as possible to get the best cabin category. Click here to get more information on pricing, itinerary, etc. Printed fliers are also available at our meetings. The early booking discount deadline has been extended to May 31, 2018.